You are here: Home / Blog / Consciousness / Life is Full of Adventures. Let’s Share One! Life is Full of Adventures. Let’s Share One! We are off to Mallorca, Spain to recharge, gain clarity, remove blocks, and move forward in our lives from a new place of power. 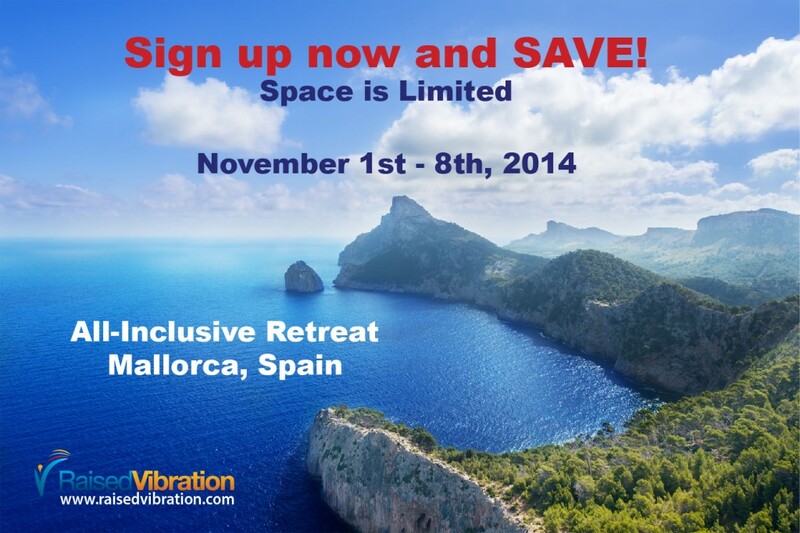 Our dates or set for November 1st – 8th, 2014 on the Island of Mallorca, Spain. The sacred grounds we will call “home” for this special week are nestled high above the Port of Soller, on the North-West coast of Mallorca. Cas Bernats is a 16th century Finca, brought back from ruin in 1984, with all the modern amenities added. The owners took great care in maintaining the rustic, authentic charm and character that gives this Finca tons of personality. The unique environment we have selected for our sacred space offers a deep experience of the crystal clear air, the majestic views of the deep blue Mediterranean Sea, and the magic of the ancient wisdom that has been here before us. http://raisedvibration.com/wp-content/uploads/2014/09/Social-Share-Image-REGISTER_NOW.jpg 895 1342 theRVteam http://raisedvibration.com/wp-content/uploads/2017/04/raised-vibration-logo-v2.png theRVteam2014-09-17 16:44:522014-09-17 16:44:52Life is Full of Adventures. Let's Share One! The Island of Transformation is Calling You, Are You Ready? Here We Come 2015. Let Our Games Begin!